Are you wondering how to reduce noise in your backyard? If you’re like me you want to be able to go into your backyard and escape from the day. That includes not hearing any road noise or a school playground. In this article, we’ll cover a few ideas to remove unwanted noise in your backyard. But the quick answer is basically, you need to create a barrier of some sort between you and the noise. This can be done with man made items like a fence, or with vegetation and we’ll cover it those two and more. Sound deflection is when you create something that allows you to bounce the sound off before it ever reaches you. Many of the walls built near highways are attempting to deflect noise up and away from neighborhoods. You can think of the sound waves like a stream of water. The best way to stay dry is to put a barrier between you and the water that redirects it before it even hits you. Deflection can be harder to handle because your solution needs to be as close to the source of noise as possible. Since most people’s backyards are necessarily close to the noise, it will be easier to find solutions that will absorb the noise. Sound attenuation is the more common approach. With this approach, you’re looking to absorb the sound. So back to the stream of water scenario, you want something in front of you can will absorb the water before it reaches you. Or think of it like an umbrella that covers you in the rainstorm. The wood fence is the typical barrier for most backyards. They are easy to install and do a decent job. You can find all the supplies that you need at the big box stores. You can even choose the fence panels to make installing them even easier. When you’re installing a wooden fence, make sure that you are going all the way down to the ground. This will keep the sound from seeping in at the bottom. Check with local regulations if you’re looking to install anything 8 foot or higher, since most municipalities require a permit for anything taller than that. Also, even though the panels might be easier, they are also thinner material and the thinner material won’t do as good of a job in absorbing sound as the thicker fence boards. If you can afford it, go with the thicker materials. Note: if your noise area is from your AC unit outside, you can see how to hide your AC and add items around it to reduce the noise there. Density is a big factor in absorbing the sounds and a brick fence is definitely thicker than most other fences you can put up. The trouble with brick fences is that you’ll likely need to hire a whole crew to do it for you. It will definitely cost more money and take more time to get it all done. Since it’s a more permanent structure, you’ll also need to pull a permit in most cities. Most subdivisions will create brick walls to reduce noise issues for their homeowners. Have you ever noticed in the fall or winter that sounds are louder than in the summer? Part of the reason for this is that the trees and plants have dropped their leaves and allows for more sound to travel. 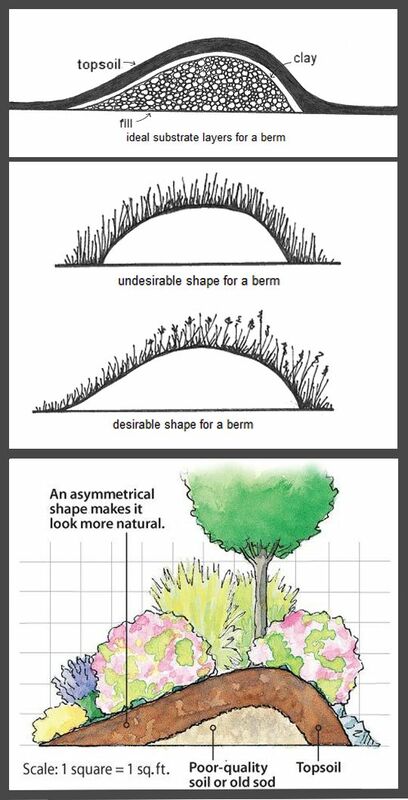 So you can help reduce noise by having more shrubbery around in your backyard. If you go this route, remember to get bushes that can go high enough to block the sounds. You’ll also want to get bushes that don’t drop their leaves as much in the fall and winter, so you can enjoy the reduced noise year around. 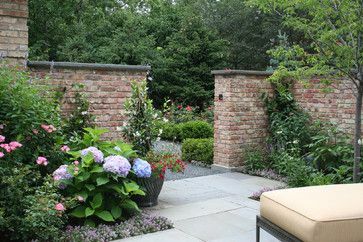 Very similar to the shrubbery idea, but with vegetation you can choose to have complementary plants around your home without it being a particular shape. Choose trees and plants that will go high enough and be dense enough to absorb most of the sound before it reaches your backyard. You can look into adding an acoustic fence to your backyard and this structure is built exactly for reducing noise. You can choose this if you don’t want to pay for the higher priced brick wall idea. 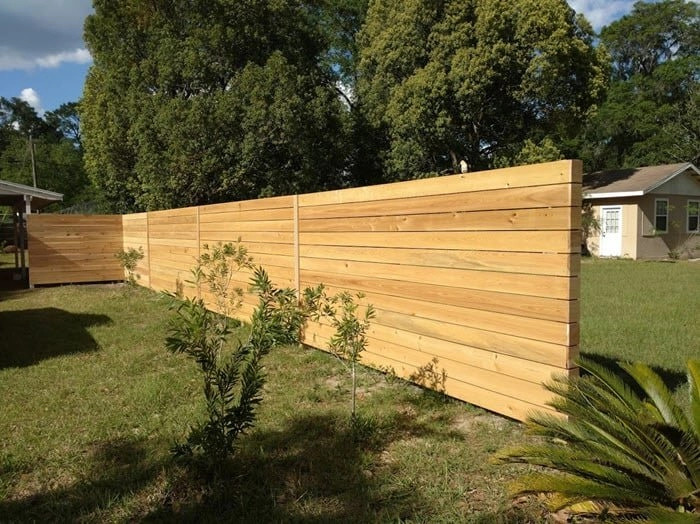 The acoustic fence can reduce noise by as much as 50% and would be less expensive than a brick wall, but still more expensive than wood or timber fence. 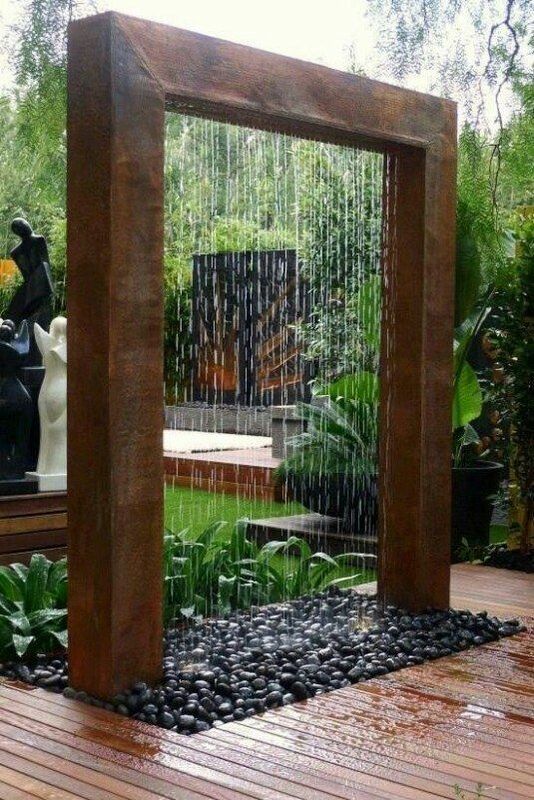 If you have a particular backyard design idea with a water feature, this might be a good idea to reduce noise. To be fair, adding a water feature is really adding white noise to drown out the sound rather than reducing the noise, but the ultimate effect is the same. Replacing unwanted noise with more relaxing sounds that you enjoy. The water feature can be as easy as buying a table top water fountain, to as extensive as creating a small water creek that runs through your backyard. This is a solution that not everyone will be able to create. But if you can build up a burm around your backyard, then it can reduce noise that reaches your backyard. This isn’t an easy solution and most people won’t be able to do it, but if you can, then it would be a great way to reduce noise in your backyard. If you can choose one or two of these ideas to reduce noise in your backyard, then it would be a great weekend project. Did you do something different for your backyard, share your results with us in the comments.